Beaded scarves work best for formal dresses. This is because they add texture and depth on the outfit. These scarves and shawls also promote a high fashion experience, as they are usually donned by models and other celebrities in the fashion industry. Embroidered Italian scarves and shawls meanwhile are also great for formal outfits, though they can be loud and heavy when matched with some fabrics. You can use them to add layers on casual tops too, such as plain shirts and blouses that need more style. There are also Italian shawls with fringes. You can play with the fringed types when you want to spice up your street fashion. Such scarves compliment denims and cottons, as they add more texture and flair. You can also go for Italian scarves and shawls that are painted by hand. These types are a bit expensive, but are really worth the price because of their distinct designs. 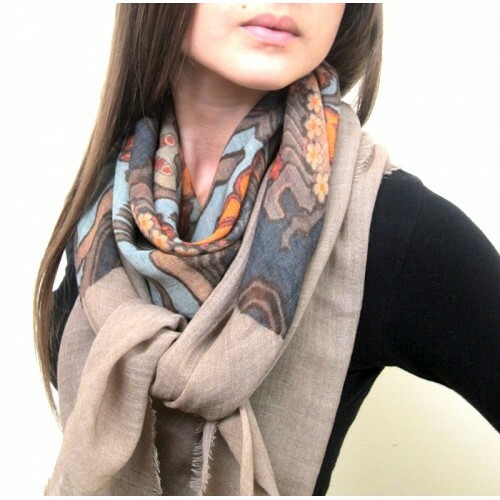 These scarves are great when you want to establish your signature style.